This study examined the drivers of climate change innovations and the effects of these innovations on firm outcomes in a sample of 203 firms in the South Australian wine cluster. The results of structural equation modeling analysis suggest that absorptive capacity has a direct effect on climate change innovations, and stimulates knowledge exchanges (KEs) between firms in the cluster. KEs between firms in the cluster in turn directly affect the climate change innovations. 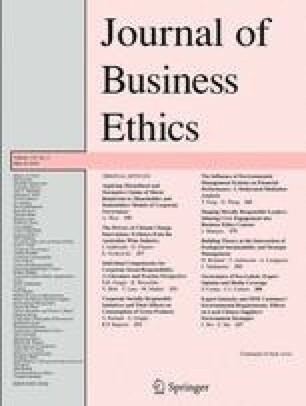 The findings suggest a perhaps counterintuitive interrelationship between firm- and cluster-level impacts, in which KEs between firms in the cluster play a partial mediating role in the innovation process. The study further finds that climate change innovations are related to firm performance (FP) and reductions in greenhouse gases (GHGs): mitigative innovations lead to greater GHG reductions while adaptive innovations impact on FP. Contributions of the findings are discussed, as are future research directions. Technical knowledge Insight on technologies, technical enhancements, vineyard, and/or winery techniques that relate to climate change. Industry knowledge Know-how gained from peak industry bodies, specialist sources, or employees/peers on addressing industry requirements or government policies on climate change. Market knowledge Knowledge about the size of opportunity for consumer markets sensitive to producers’ environmental credentials, retailer purchasing trends of organic and biodynamic wine, impacts of climate change on grape yield, quality, and price. Organizational knowledge How your company has coordinated and supervised organizational resources and processes so that climate change impacts are addressed efficiently and effectively. Marketing knowledge How your company specifically addresses customer preferences, marketing and branding, and new product development as they relate to any climate change requirements. Strategy knowledge Insight on your company’s strategy, planned competitive moves, long-term business plans, and ability to manage change as related to climate change. Our business experiences difficulties in implementing changes required to meet market demands (reverse coded). Our business quickly recognizes the usefulness of new external knowledge to existing knowledge. Our business regularly reconsiders technologies and adapts them accordant to new knowledge. We regularly interact with other wine producers in the South Australian wine cluster to acquire new knowledge. Newly acquired knowledge is documented and stored for future reference. Our business regularly considers the impact of changing market demands in terms of new products and/or modifications of existing ones. We have difficulty in grasping opportunities for our business from new external knowledge (reverse coded). We constantly consider how to better exploit knowledge. Staff periodically meet to discuss the consequences of market trends to the business (see Footnote 4). Use of alternative energy sources (e.g., ‘green’ power, solar, wind) in the overall production of wine. Use of alternative packaging to bottle wine (e.g., use of lightweight glass bottles, plastic PET bottles, recycled bottles). Reduction of refrigeration loads (e.g., night-time air cooling, timing of loads). Energy efficient technology in buildings (e.g., variable speed devices, computer-controlled lighting, use of thermal efficient materials). Minimizing the use of agrichemicals (e.g., petiole analysis, optical weed spray controllers). Alternative fuel use (e.g., biodiesel, ethanol) to power tractors, utility vehicles, machinery, etc. Carbon sinks/sequestering (e.g., reduced tillage, use of compost, planting of shrubs, hedgerows, or trees). Sales of hotter climate varieties. Water-saving techniques in the winery (e.g., water treatment and reuse). Canopy management techniques that address potential increases in temperature (e.g., sprawl trellis systems, leaf-canopy shading, inter-row swards). Establishing vineyards in locations predicted to be less vulnerable to climate risks. Application of vineyard orientations that address potential temperature increases (e.g., east–west row orientation, vineyards planted at angles). Water-saving techniques in the vineyard (deficit irrigation techniques, partial root zone drying). Growing grape varieties that are better suited to hot temperatures. We have served new markets in Australia. Customer satisfaction and loyalty have improved. Our company’s image and reputation have improved. Product quality has improved (see Footnote 8). We have successfully introduced new products. Greenhouse gas emissions have been reduced. Some of our input costs have decreased (see Footnote 8). Carrell, S. (2012). Climate change ‘a moral issue’. Retrieved January 23, 2013, from http://dawn.com/2012/04/09/climate-change-a-moral-issue. Cooper, B. (2007). Just-drinks’ review of 2007: Management briefing: Wine. Retrieved May 15, 2013, from http://www.just-drinks.com. IBISWorld. (2013). Industry insight. Retrieved May 20, 2013, from http://www.ibisworld.com.au/newsletter/news.aspx?id=fe63c5d1-925b-43f7-9168e703e93b45cc&mgs1=9289bOFFUp#aIndustry1.